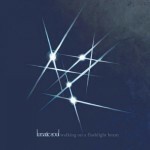 Share the post "Album review: LUNATIC SOUL – Walking On A Flashlight Beam"
Inspiration is an interesting thing. While most us mere mortals struggle to come up with anything remotely interesting to offer to the world in artistic terms, others like the Polish musician/composer Mariusz Duda are constantly creating one impressive piece of work after another. Following the release of Riverside’s stunning album “Shrine Of New Generation Slaves” a year and a half ago, Mariusz and his band mates undertook two separate European tours for the purpose of its promotion and still, somewhat miraculously, the much talented front man managed to find enough free time to create another amazing Lunatic Soul effort – one that has only just been released by Kscope and comes under the title “Walking On A Flashlight Beam”. You don’t have to be a Lunatic Soul connoisseur to understand the purpose of this project, which is to allow its founder to express himself through themes and ideas that move away from the Progressive Rock formulae that have allowed Riverside to become such a successful band over the last few years. This sense of artistic freedom, which is mainly the absence of a guitar and the prominence of the bass and keyboards, is audible throughout this nine track release and has given birth to some truly inspiring musical themes that go beyond the strict confines of Rock music. Similar in feel to the works of latter-day Fates Warning, “Shutting Out The Sun” may not be as scales-complex as the songs created by the mighty Jim Matheos but offers the listener a healthy dose of dark and haunting keyboard tunes and moody vocal melodies while the equally atmospheric “Cold” can confidently compete with the bleakest of Katatonia’s compositions. “Gutter” was the first song to attract my attention and is, by far, the best song of the album. Opening with a tribal-style bass-led theme, this composition enables Duda to showcase his unique skills on the four-string while bringing together the bleakest Rock melodies with vocal harmonies not dissimilar to…A-Ha! Following the short futuristic theme entitled “Stars Sellotaped”, “The Fear Within” is another cleverly-crafted piece of music based on a catchy and dominant keyboard melody that forces the remaining participating instruments to compete with each other for recognition. Fans of Anathema will most certainly warm to emotionally-charged vocal performances of “Treehouse” while the twelve minute opus “Pygmalion’s Ladder” evokes themes and melodies of Yes, Opeth and Deadsoul Tribe, all of which breed and flourish in perfect harmony. The closing section of the album is as impressive as the opening one with bass-led “Sky Drawn In Crayon” bringing more Fates Warning influences to the surface while the same-titled “Walking On A Flashlight” starts life as a Katatonia-sounding piece only to evolve into a rhythmically intense beast which provides a dynamic conclusion to this diverse and emotionally rewarding body of work. I am not quite sure what it is that Mariusz Duda initially set out to achieve with Lunatic Soul but with albums like “Walking On A Flashlight Bean” now under his belt, this may just be the time for him to re-address and perhaps even re-evaluate the tag ‘side project’. Moving, challenging, surprising and rewarding in equal measure, Lunatic Soul’s fourth studio album is a stunning piece of work that should not be missing from any self-respecting music collection! This entry was posted in ALBUM REVIEWS, All Posts, PURE METAL (All posts), Pure Metal/Album reviews and tagged album, heavy rock, Luntaic Soul, Mariusz Duda, review, RIVERSIDE, Walking On A Flashlight Beam. Bookmark the permalink.